Everything about the noisy part of podcasting. Everyone loves a good holiday. It can be an excuse to let loose, relax and celebrate! You only live once and the more days that can be noticed for their uniqueness and individuality the better. 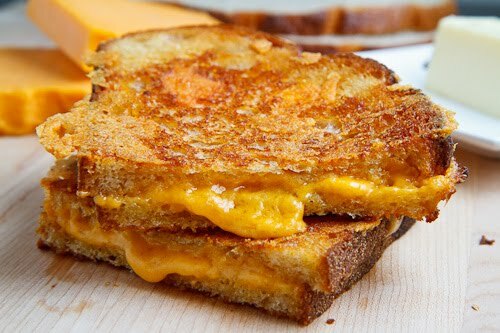 There are many lesser-known holidays in the United States; one of the most fun, and delicious, ones is National Grilled Cheese Sandwich Day. Celebrated on April 12, here are a few of the great reasons you shouldn’t let this day pass unnoticed. While it can be fun to go globe-trotting to celebrate the “Running of the Bulls,” National Grilled Cheese Sandwich Day does not require a passport. A few steps to your kitchen and you can be relishing this gooey holiday with the best of them. There is no set standard on how you need to celebrate, so feel free to experiment with many bread and cheese combinations. Yes, you probably read that word and thought it was sheer lunacy. In all honesty, grilled cheese sandwiches are loaded with calcium, as well as cheese and carbs, all of which contribute to healthy bones and a healthy dose of comfort. Not to mention, overall, it should be healthier than National Donut Day. Say goodbye to debates over Menorahs vs. Christmas trees, no religion can lay claim to the grilled cheese. You will no longer have to worry about creating food true to religious tradition. This is a simple food accessible to the masses; sure to please your family and stop any arguments over who missed church last Sunday. If you really decide to make National Grilled Cheese Sandwich Day a time-honored, family tradition in your home, you can opt for gift baskets of artisan cheese and freshly baked bread for your loved ones on this hallowed day. However, for most of society, this holiday does not require costly gifts, just a simple griddle, cheddar and white bread. Many people grew up relishing a simple grilled cheese sandwich with tomato soup on rainy days. You may have lost your love of the carb-heavy comfort food as you have grown up, but there is no reason to shun it on its namesake holiday. Grab a bite of warm, cheesy bread and remember your fondest childhood memories. Most great holidays are centered around a well-loved food item; National Grilled Cheese Sandwich Day may take the cake on that front. Cheese is honored by many cultures and societies around the globe and has taken on a role in many prominent comfort foods. With healthy benefits like calcium, protein, zinc, vitamin A and vitamin B12, it could make up for some nutrients your diet is lacking. You may feel so good afterwards, you will want to celebrate more than once yearly!